You are here: Home / Our Horses / Noble Imdalia – "Dolly"
Noble Imdalia is a lovely daughter of the Arabian legend Imperial Imdal. 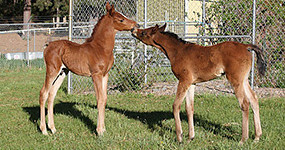 She is beautiful, correct, has spectacular movement and produces exceptional show quality foals. Her dam was a daughter of Malik GASB with an Hanan tail female. "Dolly" gave us the foundation of our Abayyan breeding program. Dolly’s sire was Salon Du Cheval champion and US Reserve Champion Stallion among many other wins. He also sired National and International champions. Dolly’s dam was imported from the stud of Dr. Hans Nagle in Germany. Her sire was many times European National Champion Stallion. 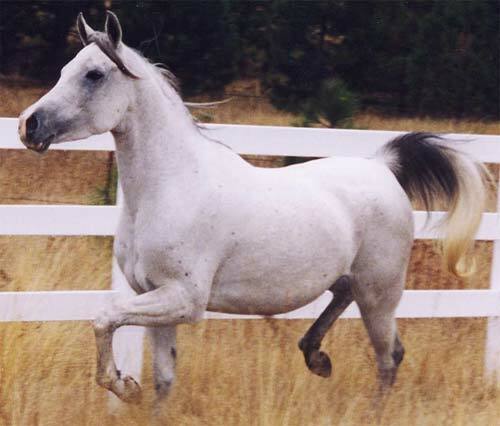 Dolly is tall with beautiful conformation and type and a level trot. 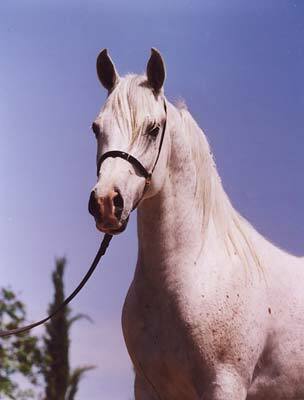 She has produced winning show horses including a Reserve Champion Halter Stallion at Egyptian Event 2003. Dolly’s pedigree is unique in the US and rare in the entire world. She is the extremely rare Abayyan Un Jurays in strain with a Hanan tail female. 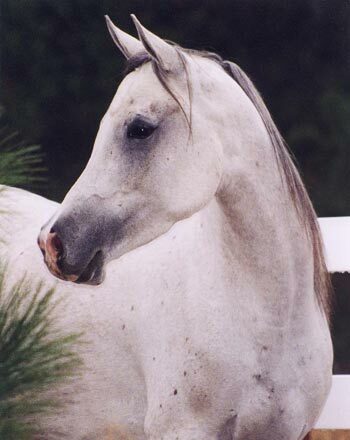 Windamere offers straight Egyptian Arabians horses for show and breeding. Our horses are of top international quality and rare pedigree to appeal to the discriminating buyer and breeder. Our quality is stellar and our pricing fair. Our sales always include a valuable incentive package as well as client support after the sale. We are proud that our clients become friends and members of our extended family. Copyright © 2019 Windamere Arabians, all rights reserved. Website by Silver Rockets.